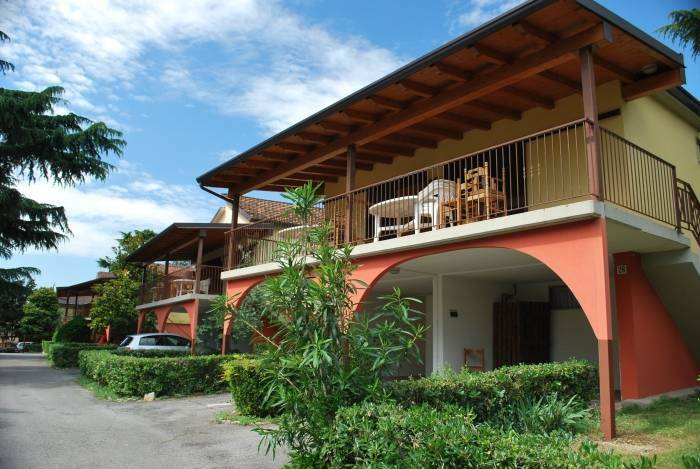 The Villenpark Sanghen holiday village is located directly on a dazzling bay of Lake Garda, surrounded by a large enclosed green park, about 2 km from the town of Manerba. 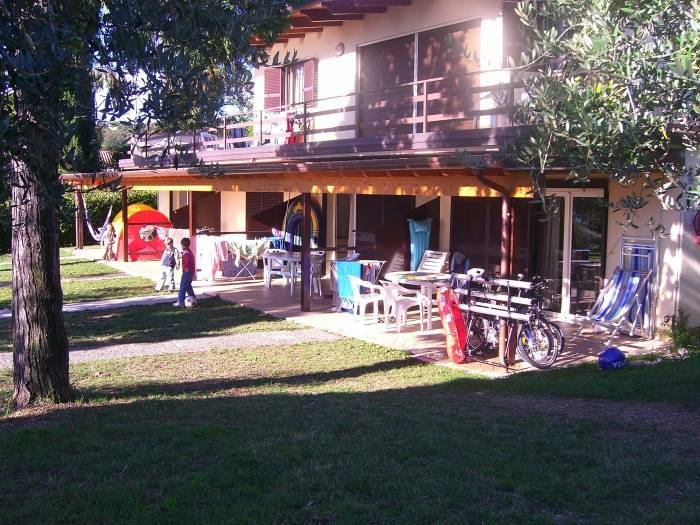 The Village has holiday homes, bungalows and apartments, all fully furnished and equipped with numerous comforts. 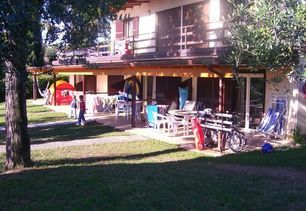 The campsite pitches are equipped with electricity, telephone and TV-satellite. There are many pitches with a private bathroom for exclusive use. The pitches for tents are spacious and close to the beach. 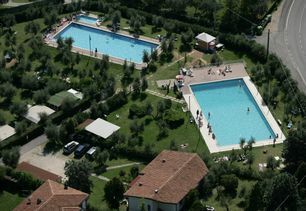 There are three pools, two tennis courts, children?s playground, small gym and a sauna are available to all our guests. 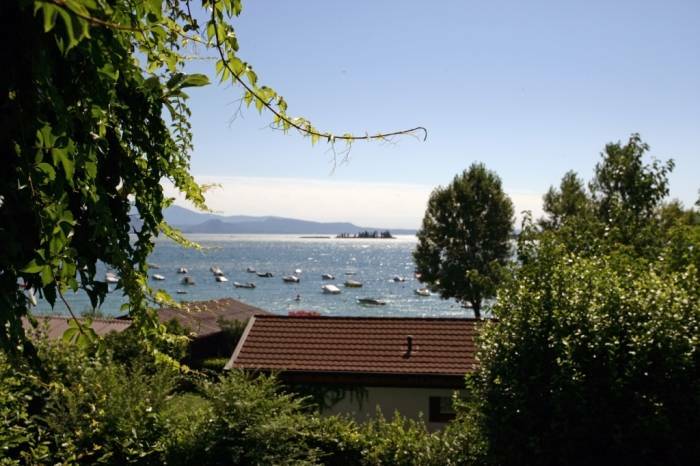 At the lake you will also conveniently find a dock, boat slip, mooring buoys and surf storage. The facilities also include a small pizzeria restaurant, bar and a mini-market. The villas of Villenpark Sanghen can accommodate from 2 to 7 people, several of them are duplexes. In general, they have a living room with an equipped kitchenette (four stoves, fridge/freezer and a microwave), sat TV, direct telephone line, safe, air conditioning, sofa bed, bathroom, one or more bedrooms, balcony or terrace, garden, garden patio furniture and a parking space. The larger villas have two bathrooms; the 'Mezzaluna' has a large living room with a fireplace. 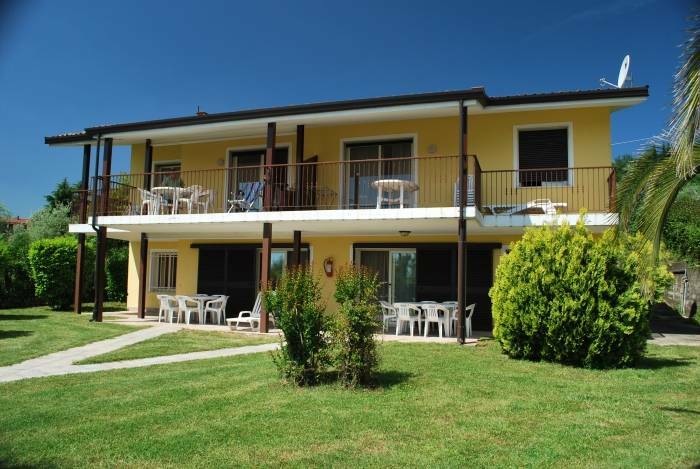 The apartments are studio, two-room and three-room apartments, fully furnished and equipped and can accommodate from 2 to 6 people. During the high season, our animation team will brighten your holiday. 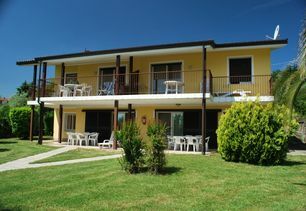 Wi-Fi internet and coin-operated washing machine and dryer are also available. Codice CIR: 017102-CIM-00178, 017102-CIM-00179. You will have direct contact with Camping Villenpark Sanghen from this site: You can send in your requests and get personalized service.